Home Tags Articles tagged with "collision"
An collision snarled traffic at a busy intersection Thursday afternoon as schools were dismissing classes. 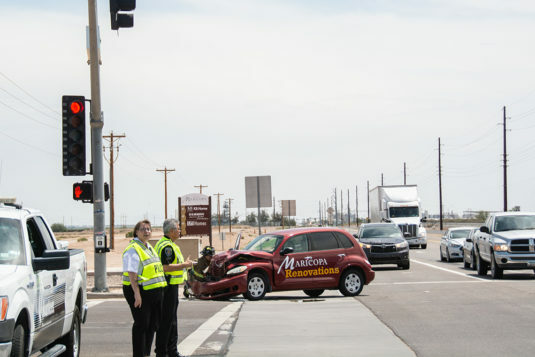 Maricopa Police Department reported no serious injuries, though two juveniles in one of the vehicles complained of stomach pain and were treated on scene at Honeycutt and Porter roads. According to MPD spokesman Ricardo Alvarado, a southbound van on Porter collided with a northbound Jeep trying to turn left onto Honeycutt Road. The juveniles were passengers in the Jeep. The investigation became a matter of what color the north-south traffic lights were. Police sided with the independent witness and cited the Jeep driver for causing an accident. Neither vehicle sustained serious damage and both were able to be driven from the scene. An accident south of Maricopa involving an ATV and a pickup truck has left one person dead. The collision occurred Wednesday at 12:35 p.m. on northbound State Route 347 near State Route 84 – about 13 miles south of Maricopa, said Department of Safety Spokesman Bart Graves. The fatal collision allegedly occurred after a male driver of an ATV struck the Ford pickup truck. “There was a secondary minor injury collision at that same location,” Graves said. 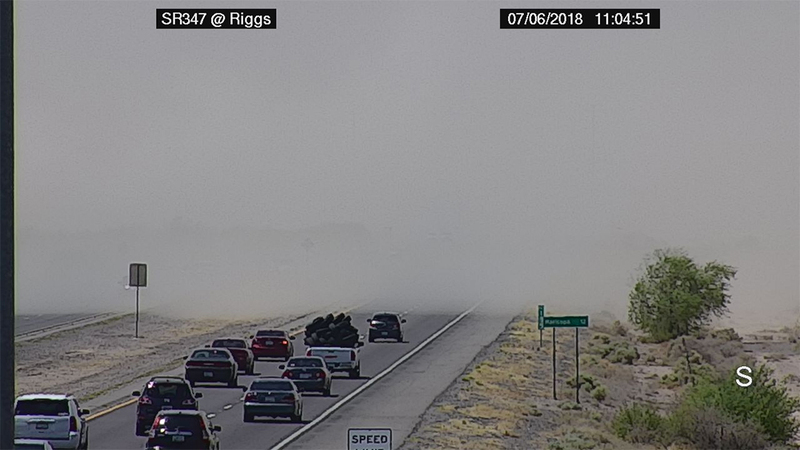 A portion of SR 347 is closed in both directions while emergency crews work the scene. 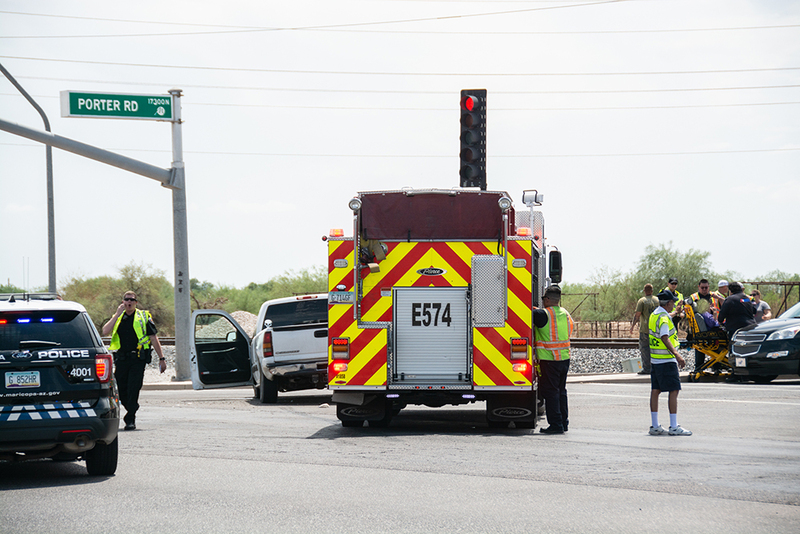 A collision at Smith-Enke Road and Santa Cruz delayed traffic Friday afternoon. Up to three vehicles were involved. 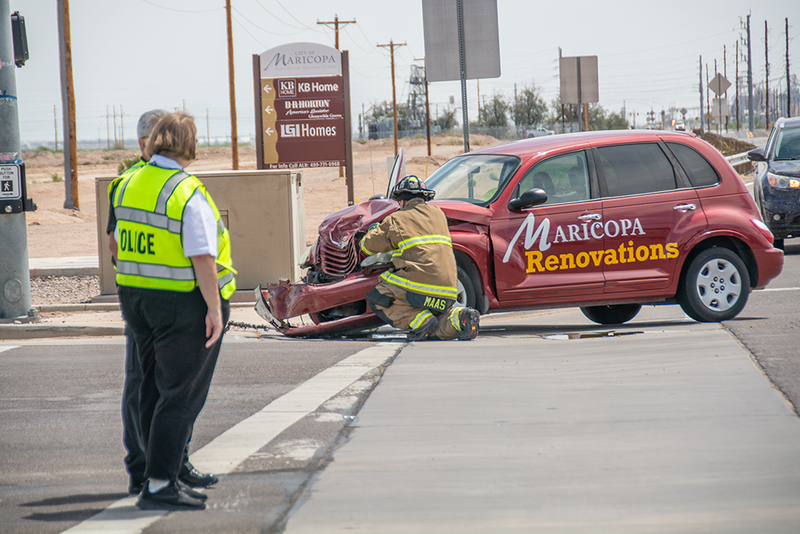 No serious injuries were reported, though first responders examined occupants of the vehicles. 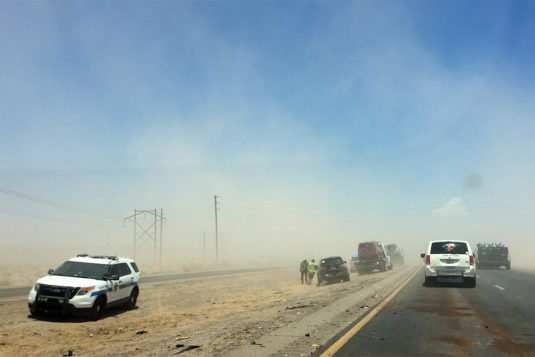 A Maricopa man died Sunday night in a wrong-way collision on State Route 347 south of Interstate 10. The crash closed the road for eight hours. 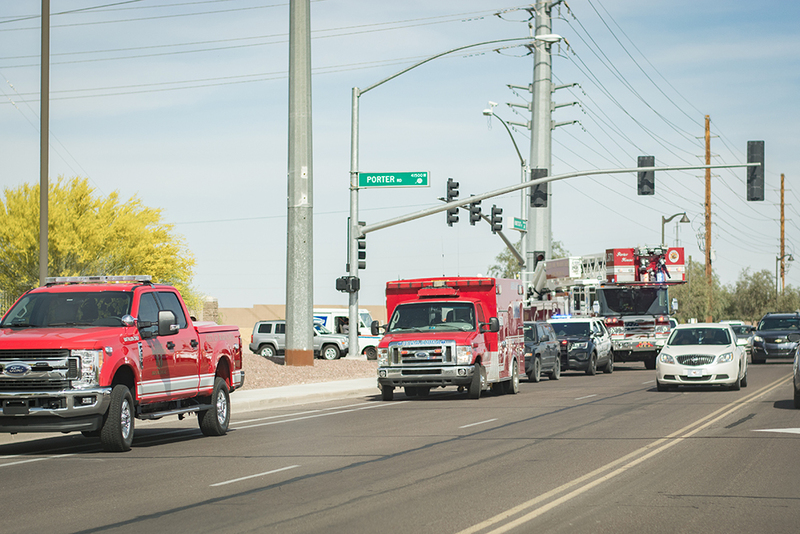 Christopher A. Canavett, 20, of Maricopa was the only fatality in the incident, which involved four vehicles. According to Department of Public Safety spokesman Raul Garcia, Canavett was driving south on SR 347 when he crossed over into northbound traffic. He side-swiped one vehicle and collided head-on with another. 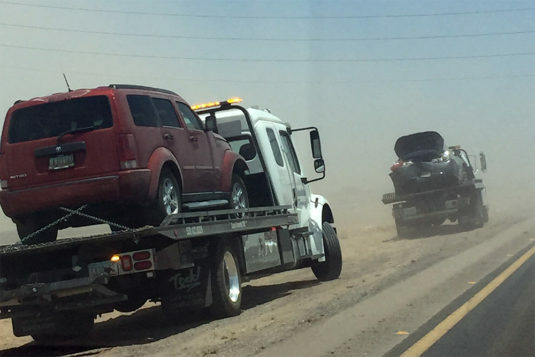 The fourth vehicle rear-ended that vehicle as well, according to the report. Canavett died at the scene. The person who was taken to the hospital was the driver of the third vehicle that was hit twice. The collision occurred around 8:16 p.m. The road was re-opened at 4:13 a.m.